Tucked away within the financial capital of the world, Cafeazy will provide a snug and cozy atmosphere to escape the hustle and bustle of Wall Street. 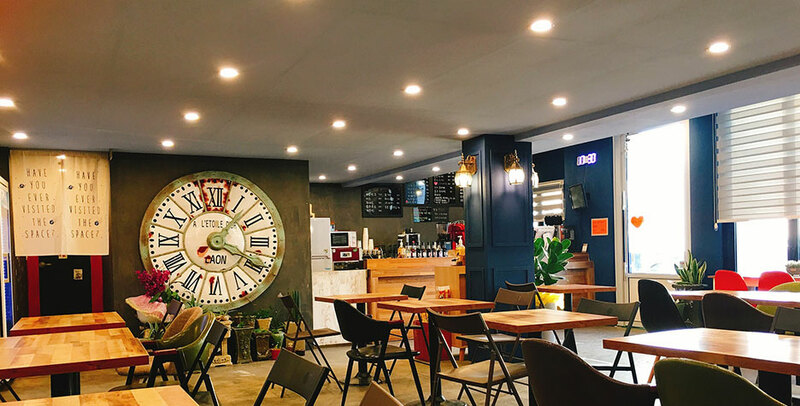 A coffee house focused on quality and comfort, Cafezy offers Porto Rico Imported coffee drinks and baked goods, such as red velvet cupcakes from local Tribeca Treats. The Teen Entrepreneur Boot Camp, a non-profit organization, will open its latest teen creation for two days only on July 30th and 31st at 127 Fulton Street. Pam Chimel, creator of the Teen Entrepreneur Boot Camp said that it provides teens with a chance to experience the business world firsthand. Starting from the ground up, teens learn about finance and marketing, as well as key factors needed for a successful business. Over the course of two weeks, teens learn the basics of the industry and apply them to their own small business. The historic Keuffel & Esser Co. building, donated by Andy Kettler, is one of the Teen Entrepreneur Boot Camp’s prime locations. The lofty space, matched with soothing music and comfortable couches, offers local coffee buyers a break from the hectic rush of Wall Street. Cafeazy aims to provide the community with a relaxing environment to enjoy their morning coffee. In honor of national ice cream month, Cafeazy presents their feature “drink,” the Vanilla Espress, a shot of espresso drizzled over a scoop of vanilla ice cream. Cafeazy is the fifth installment of Teen Entrepreneur Boot camp. The camp’s mission is to create an intensive learning environment that will teach campers business survival and life skills with a hands on approach. I wish that I was back in New York this week to check it out. The Best Coffee Near You!